Fatema Zanzi provides strategic counseling on the corporate, transactional and regulatory matters that make it possible for healthcare providers and suppliers to meet their business and service objectives. She often leads large deal teams handling major mergers, acquisitions, joint ventures and affiliations involving healthcare systems and hospitals. In addition, Fatema counsels clients on compliance with federal and state fraud and abuse laws, Medicare and Medicaid provider enrollment and reimbursement laws, HIPAA privacy and security laws, and healthcare provider licensure and scope of practice requirements. She also counsels clients on legal issues arising in regard to medical staff governance, peer review and fair hearings, as well as any related litigation. As providers and companies develop digital health technology, Fatema assists by ensuring compliance with the regulations that govern the delivery of care using such technology. Prior to joining Manatt, Fatema was a partner at another large national law firm. Earlier in her career, Fatema worked at the U.S. Department of Health & Human Services, Office for Civil Rights, where she provided HIPAA compliance education and guidance. Before law school, Fatema was a consultant with a national healthcare advisory firm. 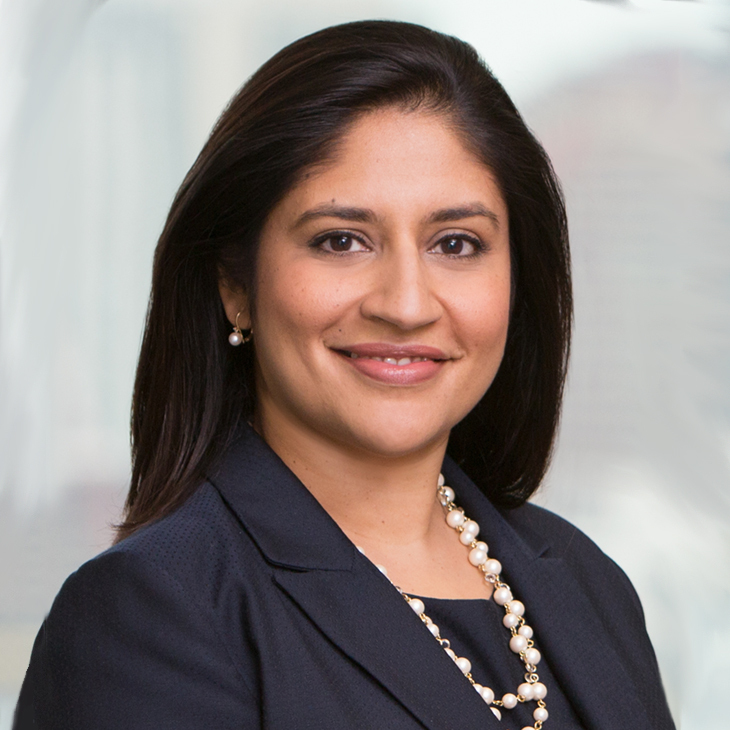 Fatema chairs the Children’s Health Affinity Group of the American Health Lawyers Association, and in her practice advises pediatric providers and stakeholders. Her clients are health systems, community hospitals, academic and teaching institutions, physician group practices, digital health companies, and health industry suppliers. Fatema is also the office partner managing the firm’s Chicago office. Leading strategic mergers and affiliations between hospitals and health systems, from multibillion-dollar organizations to small community hospitals. Advising healthcare providers who have been investigated by the Department of Justice and HHS-OIG under the False Claims Act for Medicare and Medicaid regulatory matters. Advising community hospitals on transactional and regulatory matters as outside general counsel. Advising on medical staff issues, including medical staff governance, peer review matters and fair hearings, and litigation resulting from such matters. Counseling clients on the regulatory issues, such as state licensure, scope of practice, privacy and informed consent requirements, that impact the delivery of care through digital health technologies, including telehealth. Advising hospitals and dialysis centers in their sales of dialysis operations to large national dialysis providers. Advising newly formed single-specialty groups upon consolidation of multiple medical practices. Counseling healthcare providers and medical device companies on HIPAA privacy and security compliance. Working with large healthcare vendors on compliance with complex federal and state requirements for the provision of medical supplies and durable medical equipment to patients. Speaker, “A Seat at the Closing Table: The Value of Inclusivity in Transactional Leadership and Teams,” AHLA Health Care Transactions, Nashville, TN, May 2, 2019. Co-Presenter, “Federal Law Developments in Telehealth: Changes in Medicare Reimbursement and Federal Communication Commission Updates,” Partnership for Connected Illinois, Telehealth Law Forum, Sept. 20, 2018. Co-Presenter, “What Are the Latest Telehealth Reimbursement and Coverage Trends?” Manatt Health Webinar, Sept. 13, 2018. Moderator, “Connecting With Kids: Opportunities and Challenges in Pediatric Virtual Care Programs,” American Health Lawyers Association Webinar, May 8, 2018. Speaker, “Compliance Design in a World of New Models,” Health Care Compliance Association’s Compliance Institute, Las Vegas, April 17, 2018. Co-presenter, “Diversity & Inclusion in Health and Life Sciences: Where Are We Today?,” Chicago, March 22, 2018. Presenter, “Food for Thought on Compliance Work Plans,” Healthcare Financial Management Association’s CARE Forum (Compliance Audit, Risk & Ethics), Dec. 7, 2017. Presenter, “Ready or Not? Compliance in a World of New Models,” American Health Lawyers Association’s Annual Meeting, San Francisco, June 27, 2017. Moderator, “Ethical Issues When Providing Care to Pediatric and Adolescent Patients,” American Health Lawyers Association Webinar, Feb. 21, 2017. Speaker, 6th Annual CHI Diversity, Inclusion & Life Sciences Symposium, June 22, 2016. Speaker, “HR’s Role in Physician Recruitment and Employment,” April 21, 2016. Speaker, “Complying With New 2016 Stark Law Amendments,” Strafford Law Webinar, Feb. 11, 2016. Moderator, “Marijuana Applications in Pediatric Health Care,” American Health Lawyers Association Webinar, Sept. 16, 2015. Co-author, “The High Cost of Compliance: Assessing the Regulatory Burden on Inpatient Psychiatric Facilities,” National Association of Behavioral Health, March 2019. Quoted, “Will Telehealth and mHealth Fulfill Their Potential in 2019?,” mHealth Intelligence, Dec. 31, 2018. Co-author, “Medicare Telehealth Coverage—Ten Things to Know,” Special Edition “Health Update,” Nov. 7, 2018. Quoted, “Smaller Hospitals Look to M&A for Survival,” HealthLeaders, Aug. 15, 2018. Co-author, “Ringing in the New Year With New Medicare Payment Rates for Physicians, Hospitals and Ambulatory Surgery Centers,” Client Alert, Jan. 18, 2018. Co-author, “Changing the Laboratory Landscape: Medicare Poised to Cut Lab Rates by 21.9 Percent Beginning 2018,” Client Alert, Nov. 10, 2017. Co-author, “Seven Highlights From the 2018 OPPS, ASC, PFS and Quality Reporting Program Proposed Rules,” Client Alert, July 26, 2017. Interviewed, “The Faces of Chicago Health Law,” Loyola Law (Summer 2017 edition), July 5, 2017. Co-author, “CMS Issues Guidance on Billing to Newly Excepted Off-Campus Hospital Outpatient Departments,” Client Alert, Jan. 23, 2017. Co-author, “Telehealth to the Forefront,” Client Alert, Jan. 4, 2017. Co-author, “21st Century Cures Act Grants Additional Grandfathered Status to Some Off-Campus Hospital Outpatient Departments,” Client Alert, Dec. 16, 2016. Interviewed, “Five Telehealth Questions Facing Providers, Vendors and Government,” Advisory Board Daily Briefing, April 27, 2016. Co-author, “New Year, New Flexibility: Top 10 Takeaways From CMS Stark Law Final Rule,” Health Care Insight, Dec. 18, 2015. Co-author, “Hospital Must Report Voluntary Surrender of Privileges to the NPDB Notwithstanding Potential Invalidity of Underlying Action,” Bloomberg BNA’s Health Law Reporter, Nov. 5, 2015. Co-author, “Federal and State Legislation Requiring Patient Notification About the Implications of Observation Status,” American Health Lawyers Association, Nov. 3, 2015. Quoted, “Federal Court Clarifies NPDB Reporting Requirements,” Bloomberg BNA’s Health Law Reporter, Oct. 27, 2015. Co-author, “Responding to Patients Recording Physician Visits,” HCPro’s Medical Staff Briefing, Oct. 15, 2015. The number of healthcare transactions reached a record-smashing 1,738 in 2018. What Are the Latest Telehealth Reimbursement and Coverage Trends?